Found on the western edge of the Alps, the Rhône valley is a mountainous region with many different environments in it, from low river floodplains to high meadows. This multitude of different environments meant that seasonally migration between different areas of the valley was the key to survival starting in the Mesolithic and people continued this pattern well into the Neolithic [10-11]. 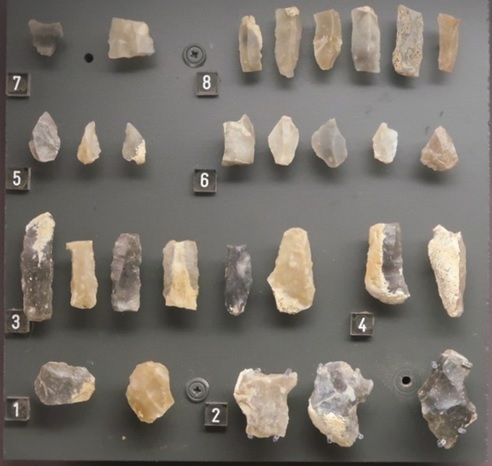 Sites with similar Mesolithic tools have been found in both present-day France and Western Switzerland . Archaeological evidence has shown that these people relied on a variety of different food sources, including river fish, deer, and birds . They produced stone tools of high precision, often based on specialized triangular designs . These people managed to adapt to the highly variable climate during the early Holocene when temperatures rose sharply around 8,000 years ago . The Aven des Iboussières à Malataverne site is located in present-day Southern France near the city of Montélimar. The three individuals in this sample were found buried with 5 other skeletons and were carbon-dated to between 12,090 and 11,460 years old, placing them at the very beginning of the Mesolithic . A strong division between Eastern and Western Hunter-Gatherers has been found among Mesolithic ancient DNA samples, which divided the European continent into two distinct regions. Eastern Hunter-Gatherers lived in the North and East of the continent, while Western Hunter-Gatherers lived in the West and South, stretching all the way to the Balkans. Genetic analysis has shown that these three individuals were the direct descendants of Western Hunter-Gatherers and formed a closely-related but distinct genetic group from Paleolithic people that lived in the region [17-18]. The rockshelter at Rochedane was excavated in the 1970s and contained stone tools from the Epigravettian and Mesolithic. These included straight blades and bladelets . The individual here was dated to between 13,090 and 12,830 years old . All of the individuals from Iboussières were male. One had an R haplogroup Y chromosome, while the haplogroups of the other two males were not determined due to poor preservation . Haplogroup R is a very ancient lineage thought to have arisen in Southeast Asia during the Paleolithic and is found across the globe today . The single individual from Rochedane was also male and belonged to the Y chromosome I haplogroup, which is an ancient lineage found in Europe and West Asia today, particularly towards caucuses. It is thought to have originated in the European Paleolithic . 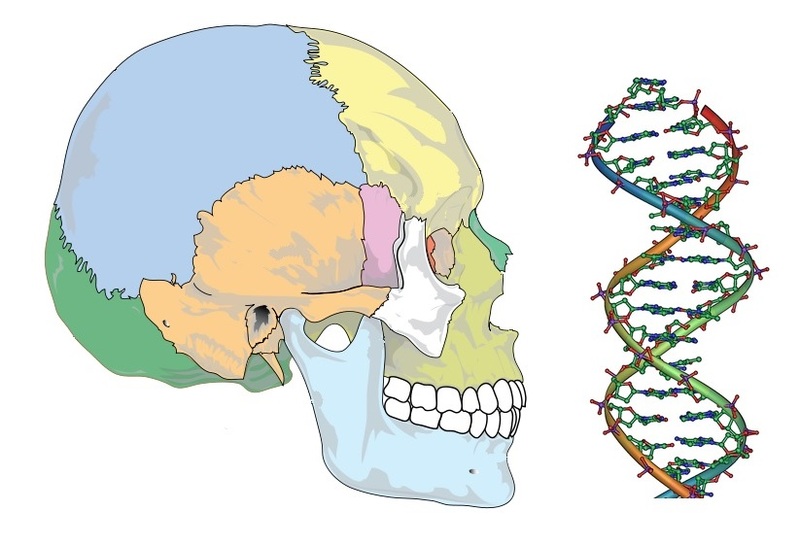 All of the individuals from both sites came from the U mitochondrial haplogroup which was the most common lineage among European hunter-gatherers . While the influx of farming peoples from Anatolia reduced the frequency of this haplogroup, it still exists today among modern Europeans.